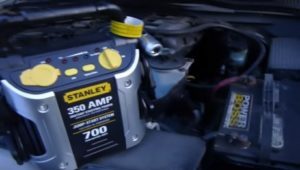 Having a portable battery jump starter is a handy tool to have when a car needs a jump. It is one of those things we wish we had bought when we break down and need assistance. Personally I like them also for times when others need a jump since I don’t like using my vehicle and jumper cables unless absolutely necessary. The reason for this is that (as most know) new cars all have computers that like any electronic device can be damaged by power spikes. While I have been lucky in the past with jumper cables and pull the terminals as soon as a car starts so no voltage spike passes from one car to the another, I still like to side with caution and use a portable unit. Camping is another time jump kits can come in handy. With the many electronic devices we use today all needing to be charged they can drain a battery if the vehicle is not running requiring a jump. Many manufactures have this in mind and build charging ports into a kit so they can double as power bricks for charging cell phones, tablets, or laptops. So lets look at some popular options and their features. 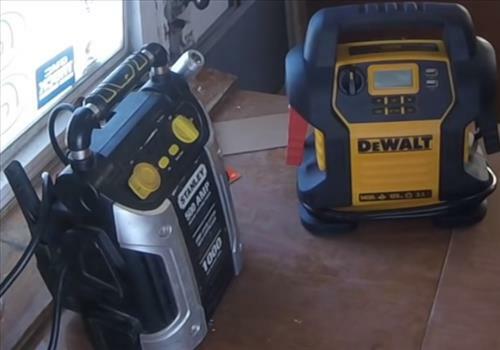 DEWALT is a known tool manufacture that makes many good products with the DXAEJ14 Power Station Jump Starter being one of them. It is a nice unit that has 1400 Peak amps and 700 starting Amps to get a vehicle with a dead battery back up and running. It also has a 120 PSI compressor to air up a flat tire, along with USB charging ports and LED display. This is a good all around unit that can not only be used in a emergency but as a power charging station for electronic devices. The Stanley J5C09 is a popular option that depending on the version bought also has a built-in compressor. Different sized units can be bought depending on the need. Including 600 Peak Amp, 700 Peak Amp or 1000 Peak Amp. 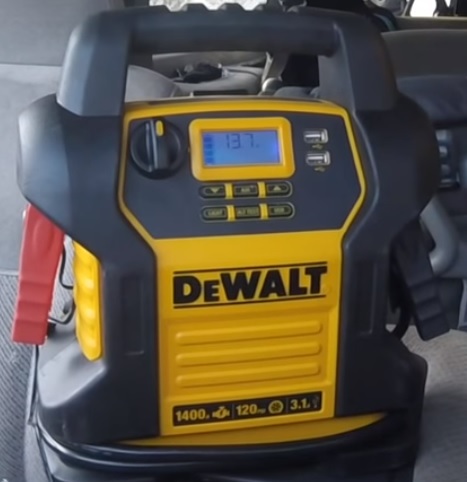 Configurations include jump starter only model, compressor, and power station options. Stanley has built the unit to match the user needs by letting the user pick the options. Be sure to read the features of each unit and the reviews on Amazon to be sure which one might be a good fit for you. 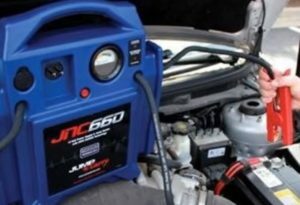 The Jump-N-Carry JNC660 is a 1700 Peak amp unit that has limited features but does what it was built to do which is jump start a dead battery. A 12 volt DC accessory is included to charge other devices. There are many good battery starter pack kits sold and many come with features that can greatly benefit a user. While some units only give a battery enough voltage to start a vehicle many others can be very useful depending on the situation. If you are like me and big into camping units that double as charging stations can be invaluable especially if many other people are included in the trip. With the many available and many features there is no doubt a unit that will fit your setup. 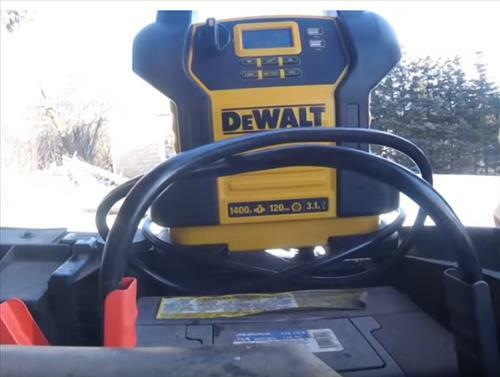 I purchased the DeWalt some time ago. This morning I found my vehicle dead so I pulled out my starter and as advertised, it started the car right away. I further tested the alternator which is included in the starter system and it was alright. I ran down to my auto shop who conducted the same battery tests and they agreed the battery was on it’s last leg so I needed a replacement and the alternator was good. Hopefully the new battery will last as long as the one which was removed (9 years).